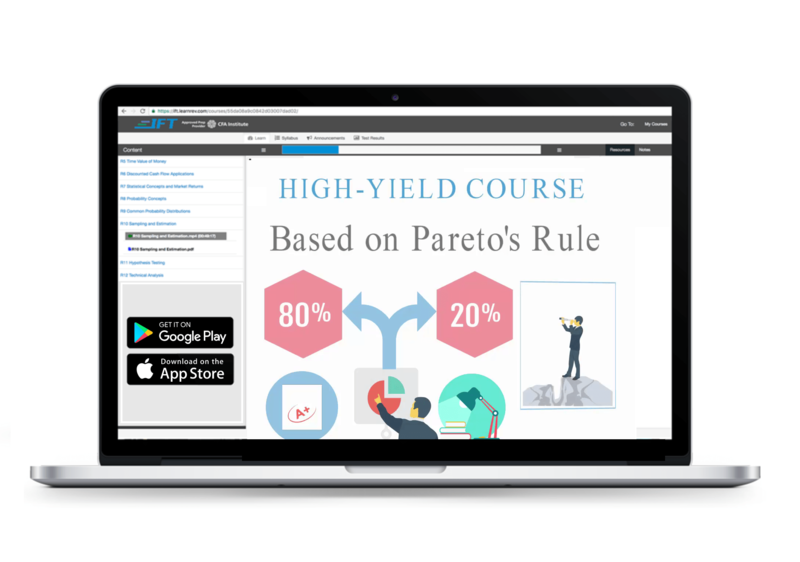 The High-Yield Course can be used on a ‘stand-alone’ basis if you are time-constrained. However, if you do have time, we recommend taking the High-Yield Course along with IFT’s regular material. This will help ensure sufficient mastery of the entire curriculum. Many candidates complain that they forget material covered earlier. The High-Yield Course addresses this problem by helping you to quickly revise key concepts. *All materials will be accessible from the IFT Learning Portal in electronic format. No items are shipped to you. ** The videos in this course are Non-downloadable.